“Hard Headed Woman” by Elvis Presley was a hard rocking, up-tempo performance that was typical of many of his early hits. Unfortunately for Elvis, it did not top the BILLBOARD MAGAZINE Most Played By D.J.’s Chart or The Top 100. It did sell well, however, and on July 21, 1958, it began a two week run at the top of the Best Sellers In Stores Chart, which gave Elvis another official number one song. Elvis was at the height of his early popularity and just about everything he touched turned to gold and so it was with this sometimes overlooked hit. Fifties Elvis at his best. During the past 40 years or so, the material of Creedence Clearwater has been released in just about every form, format, and configuration possible but the 6-CD box set titled Creedence Clearwater Revival may be the best of them all. Originally issued in 2001, it now makes its well deserved return. Everything Creedence recorded for the Fantasy label is here. Their seven studio and two live albums are presented in chronological order. Hits such as “Down On The Corner,” “Proud Mary,” “Bad Moon Rising,” “Travelin’ Band,” “Up Around The Bend,” “Lookin’ Out My Back Door,” and more, were single releases that helped define their era and remain fresh four decades later. Interspersed among the hit songs is the rest of their album material, which is many times underrated as all of their studio albums contained very little filler. The live material, which fills about a disc and a half have been released a number of times. 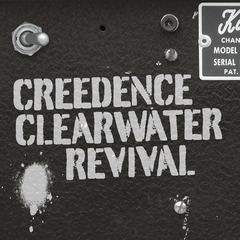 While they present a good picture of Creedence on stage, I have always preferred their studio material. The highlight of the set is the first disc, which contains pre-Creedence material, 1961-1967. Four tracks by Tom Fogerty & The Blue Velvets lead off the disc and the pre-Creedence Clearwater journey. “Come On Baby,” “Oh My Love,” “Have You Ever Been Lonely,” and “Bonita” are raw and not up to their later standards but are a nice glimpse of a band that is beginning to develop. My only complaint is that the songs from their third single, “Yes You Did/Now You’re Not Mine,” are not included and as there are probably the rarest, they are missed. All 21 tracks by the Golliwogs are also included. If you want everything by the band, these songs are essential but be aware that there are not as commercially viable as what would soon follow. One problem with this new release is that the sound, while acceptable, is not consistent. This is most apparent on the live tracks. On the other hand, the 75 page booklet gives an excellent history of the band and their music. Creedence Clearwater Revival allows one to follow the band from its earliest beginnings until its demise. If you do not own much of their material or want to fill in some gaps in your collection then this is a release for you. American rock and roll does not get much better than Creedence Clearwater. Legendary jazz producer and label owner Norman Granz formed Pablo Records during the early 1970s, just about a decade after he sold his Verve Label. One of the artists he quickly signed was trumpet player Dizzy Gillespie. They had collaborated on a number of projects in the past. Granz like to pair him with different musicians and record the results. He continued that approach by bringing Gillespie, bassist Ray Brown, guitarist Joe Pass, and drummer Mickey Roker into a Los Angeles record studio, September 17 and 19, 1974. The results were released as Dizzy’s Big 4, which has now been reissued with two bonus tracks as a part of the Concord Music Group’s Original Jazz Classics Remasters Series. Guitarist Joe Pass appeared on a number of Pablo releases and his work was usually the glue that bonded the various musicians together and so it is here, especially since there is no keyboardist to fill in and carry the sound. Three of the seven original tracks are Gillespie compositions. “Frelimo” begins the album on a light-hearted note as each musician establishes his territory in this eight minute offering. “Be Bop” is one of Gillespie’s best known compositions, which is highlighted by its complicated structures. He just carries the song along with solo bursts of his trumpet. “Birks’ Works” is a nearly nine minute stroll that allows each musician to solo. Other highlights are “Hurry Home,” which is a show case for bassist Brown and “Russian Lullaby,” with a number of tempo changes and a sweet Pass solo on the original and the added bonus alternate take. 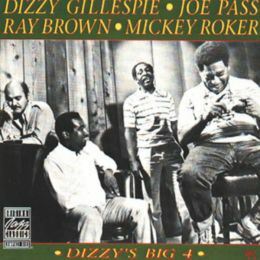 Dizzy’s Big 4 remains one of Gillespie’s better small group works. It brought together four different but talented musicians who all enjoyed long careers. They managed to produce an excellent piece of work that still sounds fresh four decades later. Legendary jazz producer and label owner Norman Granz sold his Verve label to MGM during 1962. A little over a decade later he founded Pablo Records and signed such artists as Ella Fitzgerald, John Coltrane, Dizzy Gillespie, Duke Ellington, Art Tatum, Count Basie, and Sarah Vaughan. During its 15 year existence, Pablo would release 350 albums by many of the leading jazz artists of the day. 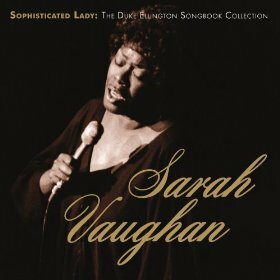 Sarah Vaughan released two albums of Duke Ellington material for the label in 1980. Now those two albums, Duke Ellington Songbook One and Duke Ellington Songbook Two have been resurrected into one release titled Sophisticated Lady: The Duke Ellington Songbook Collection. Also included as bonus tracks are six previously unreleased performances. The music is presented in chronological order by recording date. This means that the six bonus tracks, from the August 15, 1979 session, are the first tracks on the two-disc collection. The six tracks, arranged and produced by Benny Carter, are not outtakes but completely different versions of what appears on the Ellington Songbook releases. All the tracks are backed by strings and horns, which form a full background for her vocals. Highlights are a poignant “Lush Life,” a soaring “Sentimental Lady,” and a controlled “Tonight I Shall Sleep (With A Smile On My Face).” Through it all the saxophone play of Zoot Sims sets the mood. The material from the two albums runs the gamut from sparse accompaniment to a full band and orchestra. The three tracks from the January 23, 1980 session feature the backing of only pianist Mike Wofford and guitarist Joe Pass. It allows the focus to be squarely on Vaughan’s vocals. “Prelude To A Kiss,” “Everything But You,” and “I Ain’t Got Nothin’ But The Blues” allow her to explore the textures of each song. The sound from the original Pablo masters has been enhanced, plus there is a booklet that gives the history of each session. Sophisticated Lady: The Duke Ellington Songbook Collection is a nice trip through the music of a by-gone era where the voice of jazz master Sarah Vaughan combines with the legacy of Duke Ellington. Michael Packer has been playing his brand of music for close to a half century. His newest album is one of the more unique releases of the year. I Am The Blues is part spoken word autobiography and part music. He provides a number of very personal recollections of his life’s journey interspersed with musical tracks from different parts of his career. His stories of addiction, various bands, incarceration, love, meeting Bob Dylan, and alcoholism are raw and powerful. His introduction is a song about his “Uncle Al,” who was a criminal, murderer, and probably a cannibal. Tracks from his early west coast band Papa Nebo are included. He was also a member of Free Beer, which was a band that almost made it. They released albums for the RCA and Buddah labels as well as opening for such acts as Quicksilver Messenger Service, Johnny Rivers, 10cc, and the Atlanta Rhythm Section among others. The most effective tracks are the album closers “This Train” and “See That My Grave Is Kept Clean.” They are a bluesy celebration of the fact that he has survived his life’s journey but also the resignation of what lies ahead as the years pass. The only problem is also the album’s greatest strength. It is really a book in album form. While it is mesmerizing the first time you encounter his stories; the question remains as to how often you want to hear them. 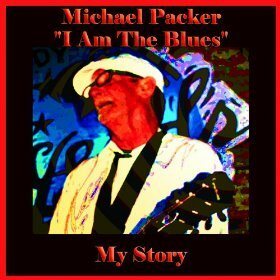 Michael Packer has issued one of the most personal albums of the year. He has bared his soul and it is a release worth exploring at least a couple of times. Counting solo, live, and duet albums, Eric Bibb’s count has now passed the 40 mark. He will shortly release his newest effort, Jericho Road, this month. Bibb is a blues singer/songwriter who incorporates some African rhythms into his traditional brand of American blues. Much of his work has had a somewhat simple and even stark sound at times. On his newest release, however, he has filled in the sound with a band and even horns in places. Through it all he remains an excellent story teller who travels in a gentle direction. He has often added spiritual elements to his music. The title of the album is taken from the road that connects Jerusalem and Jericho where the Biblical story of the Good Samaritan took place. All of the songs were written or co-written by Bibb and he has a knack of producing incisive lyrics. While songs such as “Freedom Train,” “The Lord’s Work,” and “With My Maker I Am One” are suited for his laid back brand of folk and blues; they can also be translated in other musical styles and directions as well. “Death Row Blues” and “One Day At A Time” tell wonderful stories and present the more traditional blues side of his music. 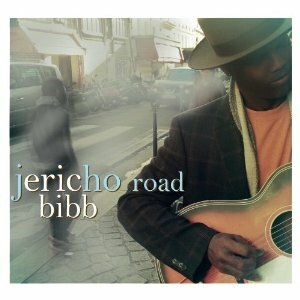 Eric Bibb has been producing excellent music for decades and his Jericho Road is the latest in his chain of releases. He continues to combine American and African elements into his music, which allows him to create a unique brand of blues that can move in a folk direction at times. It is an album that is well worth a listen. When Van Morrison entered the recording studio in the fall of 1969, he was known as the former lead singer of Them, one of the grittier bands of the British Invasion, and for his big hit single “Brown Eyed Girl.” When he emerged, he had recorded one of the better albums in rock history. Moondance was released in February of 1970 and proved to be his critical and commercial breakthrough. Moondance has now been remastered and reissued in several different configurations. There is the huge 4 CD/1 Blu-ray disc edition that contains over 50 unreleased takes, several of which are over 10 minutes in length, plus the debut of the lost song, “I Shall Sing.” It you want or need everything by Van Morrison, this is the set for you. If you do not need eight takes of “Caravan” or “Brand New Day,” there is the simple one-disc remaster of the original album. 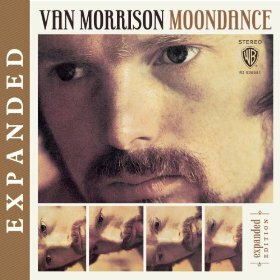 The middle ground of the releases is Moondance (Expanded Edition), which contains the remastered album on the first disc and 11 alternate takes on the second. The out-takes give a flavor of the music’s developmental process without overwhelming the listener. How many times you may want to listen to this second disc is unknown as when it comes to Moondance, it is the original album of songs that rings down through music history. While Van Morrison can be considered a rock artist, he twists and turns that definition in a number of directions and at times leaves the rock and roll idiom behind all together. Depending on the material he can travel in a rhythm & blues, jazz, and blues direction and even infuse the music with some of his Celtic heritage. This confluence of styles is nowhere more apparent than on this seminal album. In many ways Moondance is an album of moods and feelings. Various instruments swirl to create the music to support his incisive lyrics. The passion and emotion of his vocal performances adapts to each song. There is no filler material and the tracks form a cohesive unit. The album begins with the autobiographical “And It Stoned Me,” which is about his childhood. The title track travels in a jazzy direction. “Crazy Love” is an intimate performance that makes one feel Morrison is speaking to you personally. The two best tracks on a very good album are “Come Running” and “Into The Mystic.” The first is a layered piece of music where the two saxophones run counter point to each other. “Into The Mystic” has lyrical textures that bear repeated listening’s. It remains one of the better tracks of the era. Moondance is an album that defies time. It remains relevant and highly listenable over 40 years after its initial release. It is an album that should grace any music collection. You are currently browsing the Muskmellon's Blog blog archives for November, 2013.